Interactive (HTML) mass & quick-send emails with complete tracking of opens, clicks, and unsubscribes. 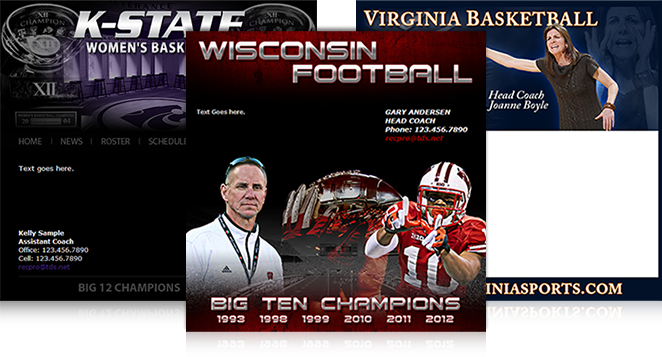 Four dyanmic layout styles to choose from: Quick-Send, Newsletter, Announcent and Article. 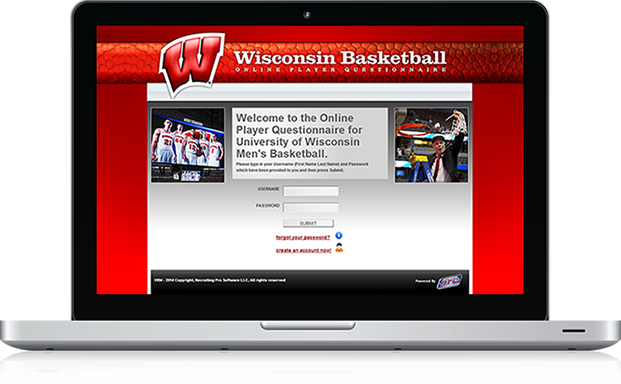 Questionnaire is personalized, pre-populated and password protected for secure data entry. Import data directly into recruit’s file. Telephone Logs: Auto generated reports with your choice of recruit, date, or staff formats. Optional compliance flag feature. 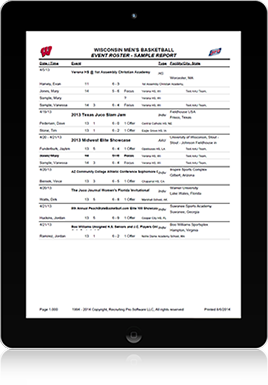 Visit Logs: Auto generated reports for off campus contacts and evaluations and official visits. 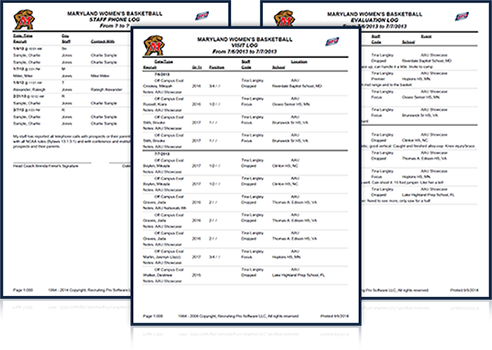 Auto generated forms with data and schedule for travel, meals, accommodations, game, host, academic meetings, coaches, admissions and compliance. 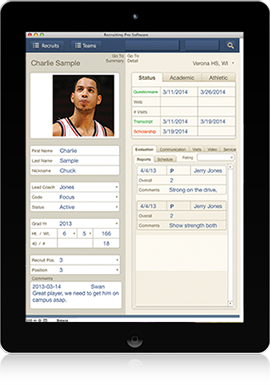 Quickly organize your off campus recruiting efforts through efficient data entry or the import of participant data. 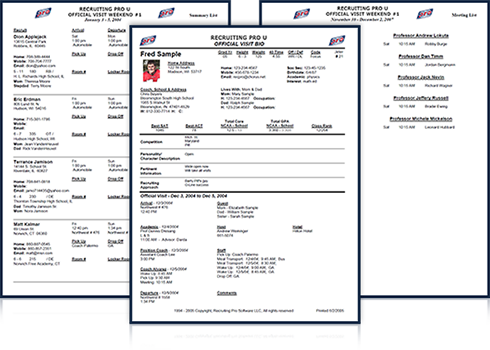 One click printing of recruit schedules and comprehensive event rosters, with cross referencing of recruits. iOS Application and Web Browser access. 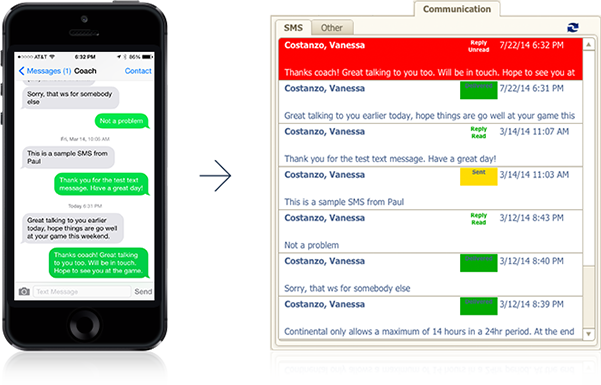 Live data at your fingertips; iPhone application for all your data or web browser access to your communication data. Sync application for iOS devices or laptops. 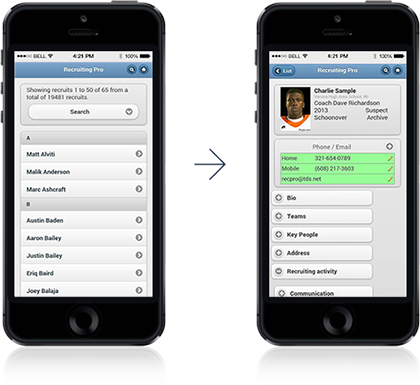 Access all your recruiting data anywhere in the world, even in airplane mode or without cellular service. You have full access to your entire system from your device without internet access.